Happy Monday! I hope you all had a wonderful weekend. Last week was our last small group meeting for this semester so, I guess I am back to cooking dinner on Sunday nights again! A couple of weeks ago, Publix had a sale on chicken breasts, buy one get one free, so I stocked up on that and still have a TON of it in the freezer. So, you know what that means….chicken EVERY night (well almost). Lucky for me, the Food Network magazine this month had an insert called “50 Chicken Dinners”! Monday– Chicken fried rice. I am a Asian food lover, but my hubby isn’t so I hope he can tolerate this! This recipe is from the Food Network Magazine insert. Tuesday- Chicken tacos. I still have some chicken taco meat leftover in the freezer that I will use to make this. I also make a sauce using this recipe from One Krieger Chick. It is awesome and I highly recommend you try it! Wednesday- Crock pot lasagna. I have had this recipe pinned for ages, but I am finally going to take a chance and try it! I will let you know how it goes. Thursday- Chicken and gravy with mashed potatoes. This recipe is from the Food Network Magazine insert also. Friday- Leftovers…mommy gets a break! Saturday- BBQ chicken. About three weeks ago, I put some chicken breasts in a Ziploc with some BBQ sauce and stuck it in the freezer. This is my first time making something like this so I hope it turns out ok.
Sunday- French bread prosciutto pizza. I got my inspiration for this from the Pioneer Woman’s blog post this weekend. (I just love her recipes) For this one, I will use prosciutto (which is B1G1 at Publix this week), an olive oil base, sliced Roma tomatoes, and goat cheese. Not sure how it will turn out, but I have high hopes for it! Happy Monday everyone! 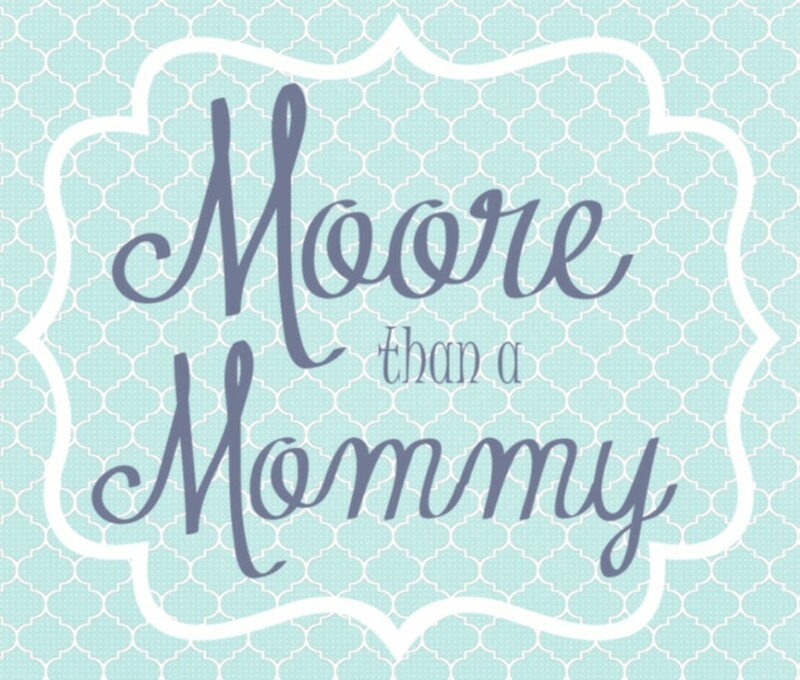 We had a crazy week in the Moore house last week so I didn’t post anything at all. This week, we are coming to the end of the month and we only have $35 left for groceries! We will be eating a lot of cheap easy food this week. Monday– We will not have our little one (he is at Nana’s house) so we will fend for ourselves. Tuesday- Chicken tacos. I made the crock pot chicken taco meat last week and froze the leftovers so, all I need to get are the toppings and the shells. Wednesday- Creamy Sausage and Tomato Pasta from Six Sister’s Stuff. I have made this before and it is really good! I already cooked the sausage this weekend to save a step. Thursday- Breakfast for dinner. Probably pancakes or waffles. Friday- Turkey croissants. I usually just take a can of crescent rolls, some sliced turkey, and cheese and roll it all up and bake it. They are cheap, simple, and yummy. Saturday- Chicken Strips with Mac and Cheese. Last week, chicken was on sale at Publix B1G1 so I bought two big 4-lb packages and divided it to freeze. Sunday- Small group: Turkey and Swiss Sliders. This recipe from Chef in Training is what I will be using, but my hubby isn’t a big ham fan so I will substitute it for turkey (which is on sale B1G1 at Publix this week). 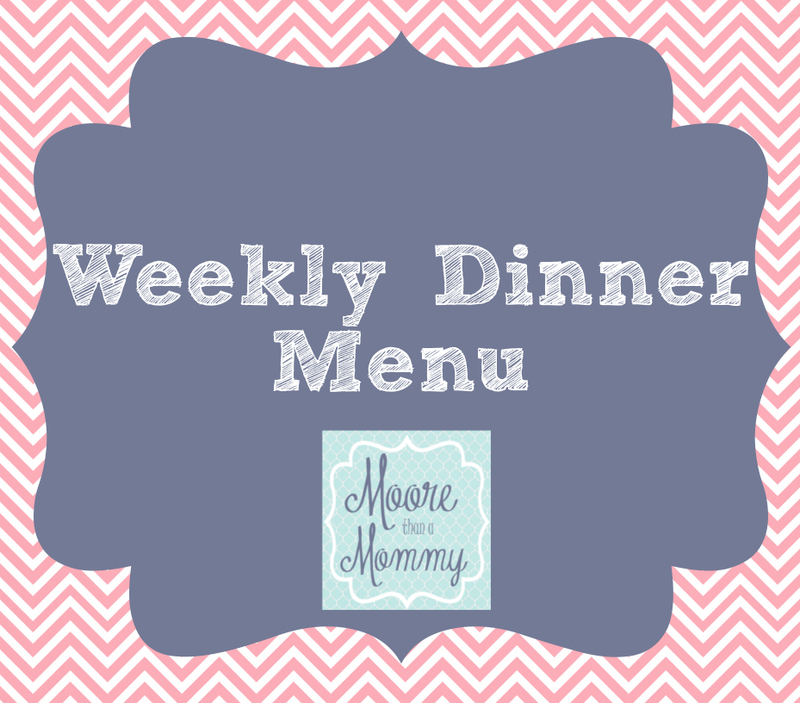 I hope this gives you a little help with making your weekly menu, but if you don’t see anything you like here, be sure to check out OneKriegerChick’s menu or Elle Elyse’s menu for some other great ideas! Happy Monday everyone! I am a little behind on making my menu this week. I have been down and out with a stomach bug since Friday, but I am all better today. We are eating a few of the meals from last week that I didn’t cook due to my illness. Monday– Chicken Pot Pie; I didn’t make this last week so, we are having it today! Tuesday- Crock Pot Chicken Tacos; I am using the leftover chicken from last week. Happy Monday! I hope you all had a happy father’s day weekend! We are trying out one new recipe this week, which for me is unheard of. Monday– Creamy Chicken Fajita Pasta; There was one day last week that we were supposed to have chicken fajitas, but we ended up at a friend’s house so we have the chicken and peppers leftover. I thought this would be a fun alternative! Wednesday- Crockpot Meatballs with Pasta and Caprese Garlic Bread; Ok, I guess we have two new recipes. I have never made this garlic bread before! I hope this little list helps you make some plans for your weekly menu! Have a wonderful week! Happy Monday everyone! I hope you all had a wonderful weekend. I am cooking every night this week except one and I am making my hubby’s favorite roast dinner for Father’s day on Sunday. Monday– Tomato Basil Chicken with Pasta from Menu Musings; this is a new recipe for us and I am excited about it! The basil and tomatoes remind me of bruschetta, which I love. Wednesday- Pesto Ranch Chicken with Pasta; we have had this one many times. I serve it with pasta, but you could definitely serve it as a sandwich or even with rice. Friday- Burgers with Pesto Potatoes from Six Sister’s Stuff; I can’t wait to try these potatoes! They look amazing. Saturday- Chicken Fajita Sandwiches from Buns in my Oven; When we have something like hamburgers that use buns, we never use all 8 of them so I try to make something else we can eat on a bun in the same week. This recipe looks like it is right up our alley. Mexican food in bread! Sunday- Balsamic Onion Roast with Garlic Mashed Potatoes; This is my husband’s favorite roast recipe that I make. The balsamic really gives it a delicious flavor. I will post the recipe for the garlic mashed potatoes once I get them perfect! Click on the roast link to print the recipe. Do you have a garlic mashed potato recipe that you would like to share? I can never seem to get mine garlicky enough! As always, I hope this gives you a little help with making your weekly menu. If you can’t find anything here, be sure to check out One Krieger Chick’s menu or Elle Elyse’s menu for some other great ideas!